Susan Casty comes to the table with a diverse palette. She has sold real estate in Lincoln Park, Lakeview, the Gold Coast, Logan Square and Barrington and has enjoyed a unique expert niche as the Developers' Agent in Hyde Park/ Kenwood. Using the Compass brand marketplace and exclusive media opportunities in the Wall Street Journal, New York Times and Crain's Business, Susan now offers unparalleled services for buying and selling property all over this great city of Chicago and beyond. Susan has been recognized consistently by the Chicago Association of Realtors during her 15 years in the business, including as a Bronze Award recipient for top residential producer in volume and units. She has been the listing agent for hugely successful developments, sold at record-breaking prices. She is a trustworthy negotiator. 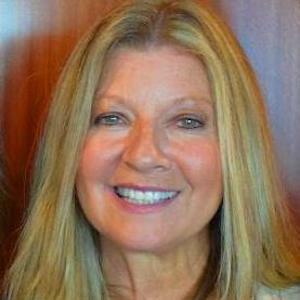 Susan's education includes a double major BA in Communications/Advertising & Philosophy from Simmons College, Boston, MA. and a JD from DePaul University College of Law, Chicago, IL. She has worked successfully in the fields of advertising, public relations, theatre, law and sales/marketing. Susan exudes enthusiasm, confidence and a determination to work hard. It's a winning combination in a salesperson you can trust. Susan was born in Georgia and has lived in Massachusetts, New York, Washington, Hawaii and California. She has long loved Chicago, has resided in many of its wonderful neighborhoods and now calls Logan Square home. Her children attended Francis W. Parker School. Her daughter graduated from Columbia University NYC, completed Teach For America and is now the Campus Leader at The Noble Academy in Chicago. Her son is a musician, a graduate of Berklee College of Music in Boston MA, and is currently living the dream in Los Angeles, California.